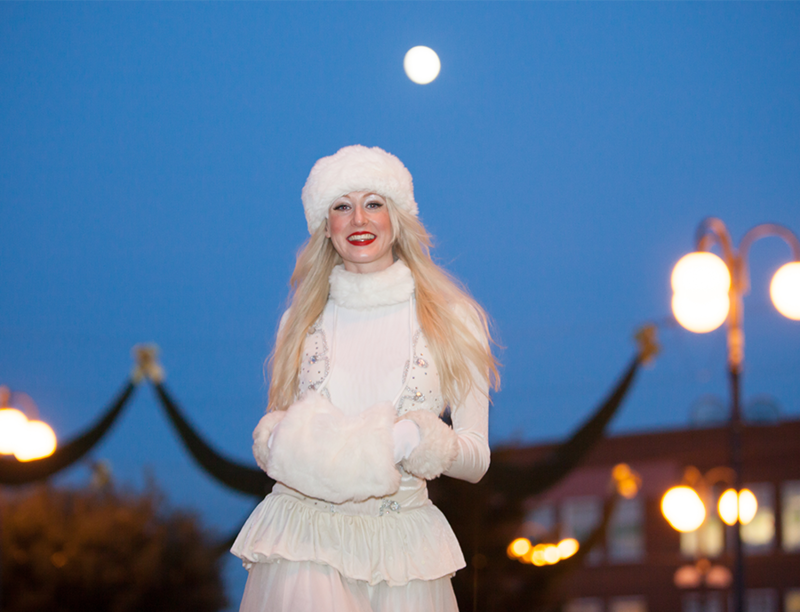 Snow Stilts perfectly evokes the irresistible charm of a magical Winter Wonderland past. Beautiful Russian Queens in snow white costumes which are every inch a fairy story in their furry hats and boots. They add a wonderful touch to the Christmas season. Available as a duo, trio or a quartet. 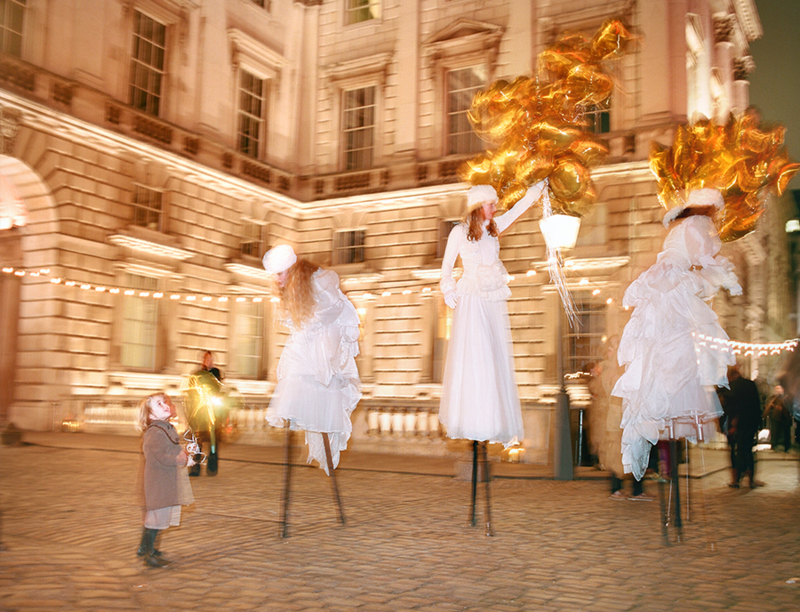 The photo above was on the first page inside Sunday Times Style Mag as a Snap Shot of the launch of Tiffany Skating Rink at the Somerset House. This little girl, Oliva was transfixed by the stilt walkers. She asked her mum ” where do the magic legs end and the real legs begin”. 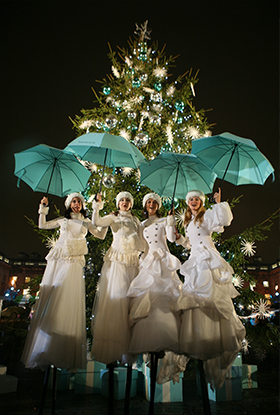 Winter Wonderland, Victorian Christmas, White parties, Christmas Light Switch On, Winter Fêtes, Parades and Christmas Season. You can book 2, 3 of 4 for your event. “The event was fantastic and all your artists were great. 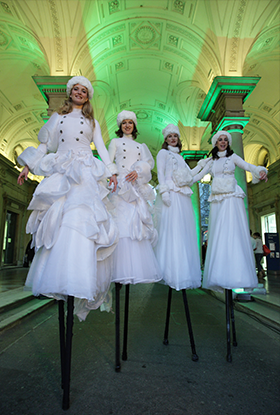 The stilt walkers were really impressive and caused a big wow". 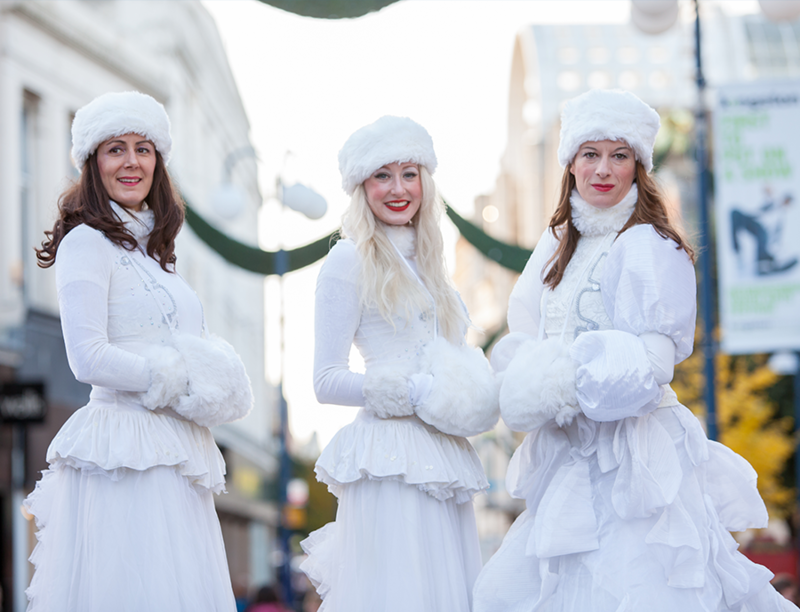 For more pictures from Snow performances and behind the scene information, search for #SnowStilts both on our Facebook page and on our Instagram account.